We rented one of the Eurocampers to explore the Oregon Coast for a few days in April and it was fantastic! The camper had everything we could have possibly needed for cooking all kinds of meals (salt, pepper, oil, Saran Wrap, tin foil, coffee press, wine opener, etc) and additional thoughtful amenities such as towels, toilet paper, carpets for wet shoes, down pillows and a duvet (!! ), camping chairs, etc.). We thoroughly appreciated all the additional touches that made for a super easy last minute trip. Within five minutes of getting into the van we knew it was going to be an awesome trip. We followed the North Coast trip recommendation guide that RTO has on their website and it was fabulous; we traveled in early April which as awesome as we didn’t need to pre-book any campsites and the beaches felt like they were all ours. Overall we had an exceptional experience with RTO that started with the booking process. Would 100% recommend to anyone interested in exploring Oregon by car. We were so happy to find Road Trip Oregon. After what was starting to feel like a trip we couldn't afford we found Road Trip Oregon and their prices that were so much better than the competition! Rico was so helpful (& patient) during the booking process & leading up to the trip too. This even carried over into prompt & courteous responses to a question or two during the trip as well! Thank you Rico & to the rest of the staff as well for making our trip as good as it could be. I am new to the Portland, Oregon area and my partner came out from Jacksonville, FL for her 43rd birthday, so I surprised her with the Eurovan Weekender and we traveled ALL OVER Oregon for five days. There was not one minute in that trip where I wished I were doing anything else. It was an amazing adventure, made very easy by how laid back Ricco and Chris were, and the fact that we had everything we needed - and being new to the area, all of my beloved camping gear was in storage. Highly recommend this outfit, their products and service were spot-on! My boyfriend and I rented the eurvan camper. It came equipped with LITERALLY everything you need. We came from Ontario, Canada to explore the west coast from Portland to Los Angeles. We had mentioned that we were heading that way and the company even gave us a fast pass to get us through all the toll bridges(LITERALLY SAVED US SO MUCH TIME).We didn't need to pack anything but our clothes and toiletries, other than that Road trip Oregon had everything. From bath towels, to blankets and pillows, cutlery, bowls, pots, pans,spices,cooking utilities you name it. We chose to go for a smaller size van because it was just the two of us, but the van could of easily slept and 4. Every night we were offered much comfort within the van and all the campgrounds we stayed at. The eurvan camper had a very comfy bed with and even more comfy comfeter. We stolked up on groceries the second we got the van, and we were able to fit enough food in the pantries and fridge to last us for 8 day( with some stops for some yummy local food when we had the chance). The gas mileage that the van had was unreal and we had not a single problem with anything. Propane, batteries everything lasted for 8 days. We couldn't have been happier with the company and the van we chose. Thank you to road trip Oregon for allowijg us to endure on our amazing adventure. We will forsure be using and recommending your services in the future. Sign up for out newsletter and get exclusive deals and travel ideas right to your inbox. Love traveling and great deals? Sign up for our newsletter and get exclusive deals and travel ideas right to your inbox. 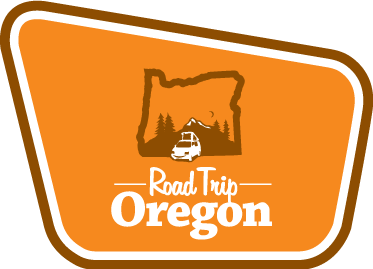 Copyright © 2019 Road Trip Oregon – Reliable sprinter, Eurovan and Land Rover camper rentals in Oregon. All rights reserved.